I just don’t know if I’m with the right person. It’s been over a year since I broke up with my ex and still think of him. I met my current boyfriend a year ago. I had broke up with my ex 2 months before that. So I think of him all the time. But I love my boyfriend so much right now. You are currently in a learning phase with regards to love and relationship. You are learning to sort out what is truly important in your heart and mind. Thoughts that come and go in the mind are slightly different from what is deeply in the heart. It is important to get in touch with your deepest sense of inner wisdom and knowing to gain clarity on what is going on for you. I will talk more about how to do that at the end of this message. Sometimes thoughts and fantasies are less about the external object of our fantasy — and much more about something deep within ourselves that needs to be addressed. At other times, thoughts and fantasies portray something that we deeply want, something that may seem missing from our current relationship, but we are afraid to ask for, address or create in the relationship we are in. Sometimes, when we still carry uncompleted emotional stuff from a previous relationship, thoughts will arise about that relationship. If one moves too quickly from a breakup into a next relationship, we are unable to have sufficient time alone to sort through, learn from, and complete our previous relationship within ourselves. We accumulate such emotional residue and carry it with us like unseen baggage. It still affects us, however. Perhaps your thoughts are surfacing around incomplete things from the previous relationship. There is no single “right” interpretation of what your thoughts can mean or indicate. Ultimately, it is what you make it to be. When one is young, one is learning about love and the meaning of relationship. One is learning about what works for them and what does not work. One is learning to develop a deeper capacity for commitment and wisdom. Hopefully, one learns this especially around the breakups of relationships, through a process of self-reflection and time dedicated to really learning the lessons from the previous relationship. This takes a commitment to do, and all too many of us move quickly from one relationship to the next because we are not comfortable being alone and developing that inner relationship in ourselves. As you get more experience, you will come to know inside yourself more clearly what it is you truly want and stand for in relationship. You get this experience in two ways: externally and internally. (1) Externally. This is through trial and error with different partners and just seeing how it all turns out, i.e. learning through the pain of experience and growing. (2) Internally. You can also develop inner wisdom by focusing your attention and energy within yourself, and developing a deeper inner relationship with your own heart. Most people mainly do the learning externally. This often takes much longer, and many more repeated lessons before we finally “get” it. I recommend you supplement yourself with adding internal learning — right now. Take advantage of this occasion of questioning and doubt to develop a deeper relationship within yourself. 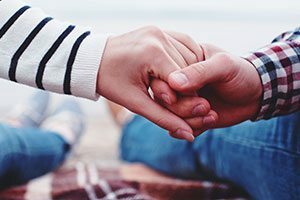 ← How do I start a relationship?